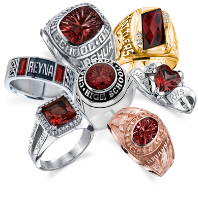 CUSTOM GRAD RINGS TRADITIONAL, MODERN OR FASHION. CUSTOM GOWNS TAILORED. 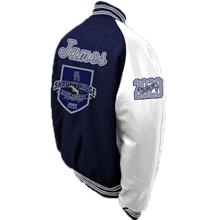 CUSTOM JACKETS PROFESSIONALLY MEASURED AND TAILORED SPECIFICALLY TO CUSTOMERS SPECIFICATIONS. ORDER ASAP PRESENTATION EVENTS COMING SOON. LV HERFF JONES APPOINTMENT NOT NECESSARY ON FRIDAY OR SATURDAY THIS WEEK. APPOINTMENT IS NOT NECESSARY RETAKES FREE ANY THIRD SATURDAY. PHOTO SESSIONS END IN APRIL OF 2019. "My wife and I thought we should send a review after being asked by yelp request. We have history with Mr. Larsen the owner of Herff Jones. I went to the same university with Lane and we graduated from the same business finance school and had many classes together. He was a great student and one nice guy. Later my kids needed Letter Jackets and grad stuff. Once again nice accommodating friendly person. Now the product exceeded our expectations as expected great quality the leather was fantastic the rings were less than anything we could find my daughter when she was a sophomore ordered the economy ring for 59.95 what was surprising to us they never charged us when it needed re-sizing. My twin sons both got the rings with color Rams names with sport numbers. When my kids were seniors they ordered invitations and got FREE photo Shoot. The photos were free the photographer at the school wanted 75 just for a photo sitting which we paid then they wanted 3 to 5 hundred for the packages. Herff Jones rings jackets and grad gear were less than the photographers packages. I'm glad to have been asked to write a review. Anyone can call me as a reference." "Lots of gratitude to Herff. Oh my goodness as a parent and having an 18 year old graduating. How inconsiderate of us to imagine or demand custom products in four weeks. I was furious with my son for not bringing the ordering information home in September. We've taught and tried to teach our kids to be considerate and appreciative at all times and to be prompt and respectful we missed this one. However they had five order events at the school and they still took ours in February. My son is 6'4 they got his size we tried on a gown,, purchased announcements and took pictures. Wow they sent the photo by email I printed at Costco and saved five hundred bucks from the photographer. Thanks Herff Jones you guys rock!!!!" 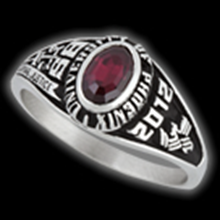 "Wanted to write a review to thanks Herff Jones and the owner Mr. Larsen. Coming from a single parent home and then trying to take care of everything it can get stressful. My son wanted a graduation ring they were affordable even on our budget. Yet I only could give fifty dollars. These people ordered the ring without being paid in full. I made bi monthly payments got finished the night he got it at the ring presentation event. No one and no company in my city would ever take a small down payment and order anything for anyone except Herff Jones Lane Larsen. Praise to them I'm sure a lot of dishonest people probably take advantage-thank you for trusting and making it possible for a single mom. They also give a warranty on the ring if it's lost...amazing!" "I am so impressed with Lane Larsen and Herff Jones.. I was able to be involved in one of their achievement seminars. I have never seen a more qualified motivator in Mr. Lane. The team is the hardest working group and a more dedicated group to make my Graduation special, my ring was on time and I got it for the ring presentation ceremony it has the highest quality of workmanship. My gown was so much better than my sisters from a different company. They will forever be my go to company for achievement recognition. Keep up the great work Mr. Lane of the Herff Jones! I wish there were more companies out there like you guys. You are definitely leaving the world a better place!!!" "A big shout out to Lane Larsen and Herff Jones.! My grad ring is amazing and in color. It was done in a timely manner and they gave my mom a little miniature ring at the presentation ceremony. Friendly people on Mr. Larson's team. They Communicated really well they sent letters and invoices regularly. Thank you all so much!" "Lane Larsen and Herff Jones they did announcements rings jackets and gowns for my kids. We've had great experiences over the last four years. We loved all the people that we worked with. The salesman Daniel went above and beyond to work with all our expectations. Love the warranties and quality that they offer, son lost his ring and they replaced it. I would recommend using Lane Larsen and Herff Jones. If you want quality that will stand the test of time. I really resonated with their slogan start stay and finish strong on all you do GRADUATE!" "Just got my graduation gown by Lane Larsen and Herff Jones. Its amazing they did an amazing job it has logos and stripes and looks better than anything our school has. ! I was very pleased by how it fit and felt. The announcements and my frame are perfect. Although I choose the $59.95 ring it was incredible. 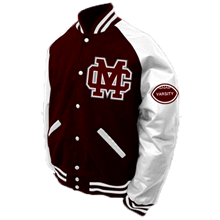 I highly recommend them"
"We are super happy with are letter jacket couldn't believe how reasonable the price was. 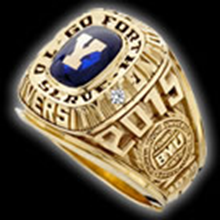 Lane Larsen and Herff Jones manufactured it for us at his factory it even has his name in it." "I received my ring 3 years ago with Lane Larsen. the attention to detail and the sales team were the best, the delivery event went perfectly. In fact last summer I had a dumb teenager roll over my ring in his jeep and it bent the ring Lane Larsen made me a new one without charge. They are fast and affordable and I have recommended them to all my family, friends and neighbors. Thanks Mr. Lane you did so much for my school and friends you're an example of how people should live." "I was very confident of the products when shown to me and had hoped that it will be memory products that I will enjoy for a very long time. I have recommended Herff your company to many people already. I think you have the best grad products otherwise I would not have purchased from you. Thank you so much." "I wanted to express appreciation to you for the experience we had with Lane. The representatives and secretaries are kind and helpful. I love the color of my jacket and the style. The entire experience was very positive, and will make it easy to recommend mr. larsens Herff jones. to our neighbors and friends." 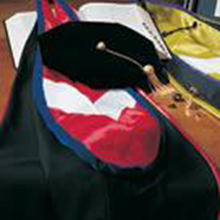 I am impressed with the workmanship of my school ring and jacket-the Gown was over the top, my other kids had horrible plain expensive gowns we threw out. The team at Herff were friendly and helpful." Great group of people to work with!!! Pricing was affordable paid double for poor quality for daughter graduation seven years ago with another company." "These guys did a great job for me and my 2 friends on our Jackets. Dan was awesome to work with and very helpful. Secretary was on top of my interest free payment plan, top notch and did an amazing job." "Usually when I have worked with jewelers in the past I have vision of what I want and when the job is completed it not quite what I hoped for. But with Mr. Lane of Herff Jones only was my vision meet but exceeded in every way possible!!! P.S. thanks for the proud parent shirts talk about icing on the cake!" "Needed a replacement ring for a lost one they didn't charge me CRAZY. This is not something that anyone else would do. Went to the store in Las Vegas of Herff Jones and Karrie with Mr. Lane of Herff Jones took care of it. Thanks." "We are super pleased with are Grad pictures and they were free with my announcement package. Un restricted pictures in today's world wow. Would definitely use them and recommend them to all schools they should use Mr. Lane of Herff." 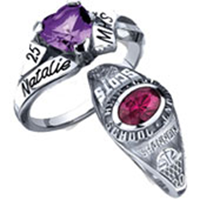 "It came down to a choice between Mr. Lane of Herff Jones and a competitor. I felt like Herf jones had the knowledgeable and caring people to give my hard earned money to. Thanks for the great job in making our celebration of graduation so memorable!" "I just wanted to thank you for a job well done. It has been a pleasant experience from day one. Lane, was honest, courteous, and very informative. The ring and jacket presentation was exceptional and ceremonial and very professional. It's a pleasure to know that there are still companies who take pride in their customers, and employees who take pride in their work. My kids' stuff looks fantastic! 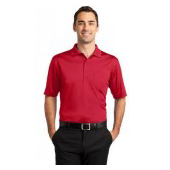 We would recommend Mr. Lane of Herff Jones to anyone." 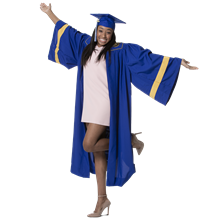 "My special thanks to you and your team for the wonderful job you did on my daughter's grad items. My wife and I are delighted with the results. Mr. Larsen should be proud of their products and especially his employees. They worked very hard and represented you very well. I contacted six companies by phone and email. Karrie promptly scheduled a time to come meet with us at the office in Las Vegas. He was on time, very personable and knowledgeable. The Herff Jones's employees were very polite and courteous and made me feel like it was their pleasure to work with us. As a result of your efforts we have already received several compliments on my daughters ring and announcement pictures, thank you for the free photo shoot and for emailing the photo you saved us hundreds of dollars that the photographer wanted-you sent them non restricted who does that-THANKS Thanks THANKS!" Lane Larsen is the Leader in Achievement Recognition Services in the United States. Lane created the school branding initiatives in 2005. Lane was the first to design and create Custom Gowns with Symbols of School Pride in the United States 1999. 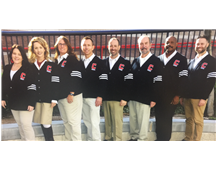 He has partnered with educators to transform the student experience into a culture of Achievement and success. 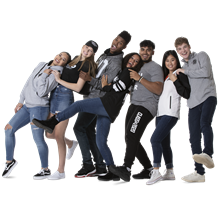 The student Achievement seminars allow students to reflect upon the possibilities of success in the class room and the Graduation opportunity. Lane only utilizes the finest USA vendors to handcraft achievement products that elevate the student experience. Lane created Ceremonial events to recognize educational commitment and athletic accomplishments. Lane Larsen's Team is ready to design and create the finest symbols of Achievement with Class Rings USA, Graduation Regalia USA, Die Engraved Announcements USA, and Letterman Jackets USA. We are local people priding ourselves in exceptional service, quality products, with huge smiles of Gratitude. Come and enjoy our unique way of appreciation and gratitude for the opportunity to be of service!